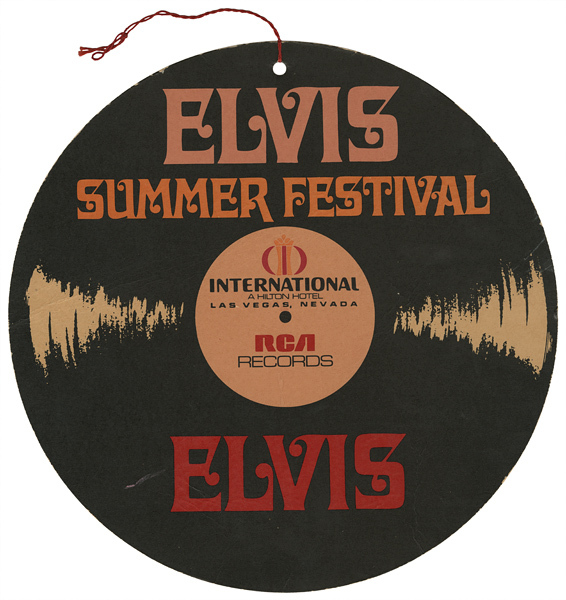 Colonel Parker and the International Hotel promoted the King's summer guest appearance with the slogan 'Elvis Summer Festival 1970'. The series included 58 shows. Elvis - That's the Way It Is, directed by Denis Sanders (1970). The International Hotel was known for many years as the Las Vegas Hilton. When I first made this video combining video from 'TTWII - The Complete Works" and audio from "TTWII - Deluxe Edition" and uploaded it in November 2014, despite weeks of effort it was incomplete as not all of the show was filmed. Eventually the video found itself 'blocked worldwide' and so on creation of my new channel I have decided to upload it again with some positive modifications. It now contains the missing segments with photos inserted where there is a lack of video footage so that the show is now complete. In the interim between the block and this new upload someone had downloaded the video and uploaded it elsewhere on Youtube still with my original opening graphic and original video title!!!!!! In 1977 rock icon Elvis Presley died at the age of 42. This documentary by The Elvis Guide represents the timespan between his New Years Eve concert in Pittsburgh and the funeral on August 18, 1977. A radio reporter in his emotional report: "Pandemonium breaks out here on Elvis Presley Boulevard in Memphis, Tennessee!" The in-depth documentary THE YEAR ELVIS PRESLEY DIED for the first time brings together rare 8mm fan footage, news reports and amateur audio clips in chronological order. This fan compiled docu tells the story of Elvis Presley's last 8 months, it shows his greatness and popularity until the end THE YEAR ELVIS PRESLEY DIED is a non-commercial documentary project offering younger generations of fans the experience to see tragedy of August 16 1977 and the reporting unfolding. But most of all the fan compiled docu pays tribute to the greatest entertainer of all time. Excellent collection from the King Of Rock 'n' Roll that contains the biggest hits of his career including 'Burning Love', 'Heartbreak Hotel', 'Suspicious Minds', 'All Shook Up', 'Are You Lonesome Tonight? ', 'Hound Dog', In The Ghetto', 'Jailhouse Rock' and many others. Also features the hit remix of 'A Little Less Conversation'. This 2 CD Legacy Edition of Elvis: That's The Way It Is features an expanded version of the original RCA album. Added is four single sides from the period and a selection of "fly-on-the-wall" outtakes from the June Nashville sessions that produced the majority of tracks for the LP. Disc 2 features a previously unreleased concert from Elvis' 1970 "Summer Season' recorded on August 12. The 24-page booklet features an insightful essay, photos and memorabilia. This new 2-CD Legacy Edition of the album Elvis: That's The Way It Is that accompanied the film directed by Denis Sanders celebrates this memorable era in the career of Elvis Presley with an expanded version of the original Gold-certified RCA release. Elvis: That's the Way It Is: 2001 Special Edition + 1970 Theat. Version (BD Book), directed by Denis Sanders. An inside look at "The King", this documentary follows Elvis as he prepares for his big opening-night performance in Las Vegas paints Elvis as the master showman. This is a brand new single sided reproduction print of a Elvis: That's the Way It Is poster. The paper size is approximately 27 x 40 Inches - 69cm x 102cm The condition of this item is brand new - mint condition. No pinholes or tape and has never been hung or displayed. Paper size may not be exact so we recommend waiting until you receive the poster to purchase a frame. This quality reproduction makes a great gift and is perfect for framing.